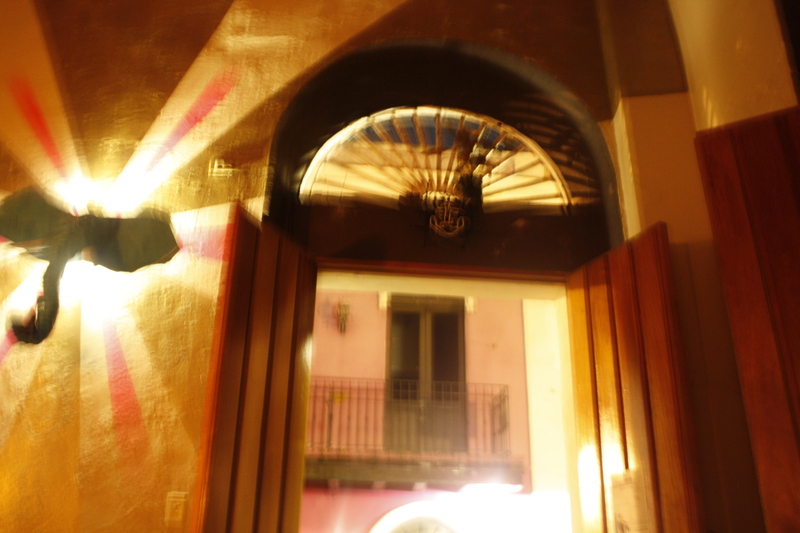 We ventured through Old San Juan to enjoy the romance of the architecture and rumblings of Latin music. Despite being in PR, we were listening to a lot of old school tunes from Black Street, Ms. Hill and Montell Jordan, so I oculd not help and hum This is how we do it. 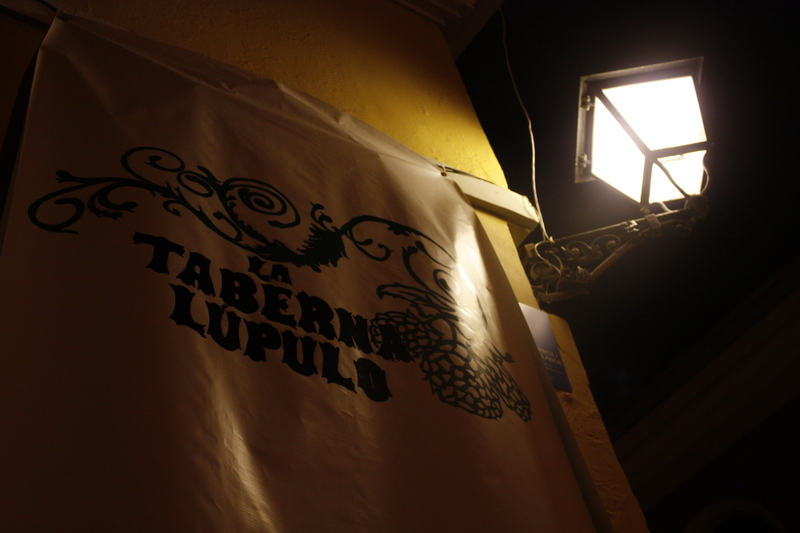 We landed at La Taberna Lupulo, which was open until 2am. The owners are from the States and besides serving local beer, Medallla, they found a niche for serving craft and global beer in San Juan. 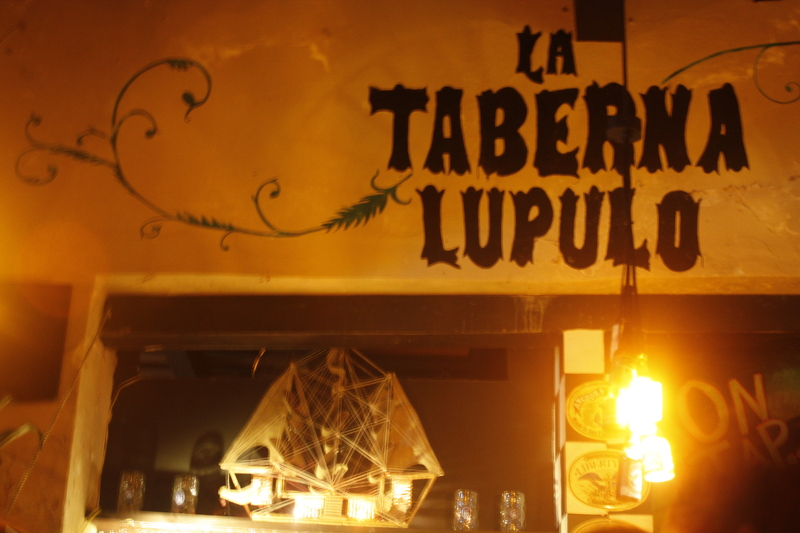 La Taberna Lupelo has the largest beer selection on Island, they serve over global beers to counteract all the popular rum and frozen drinks. From Belgium to California, Harpoon to Ballast Point, Lupelo has a great variety. 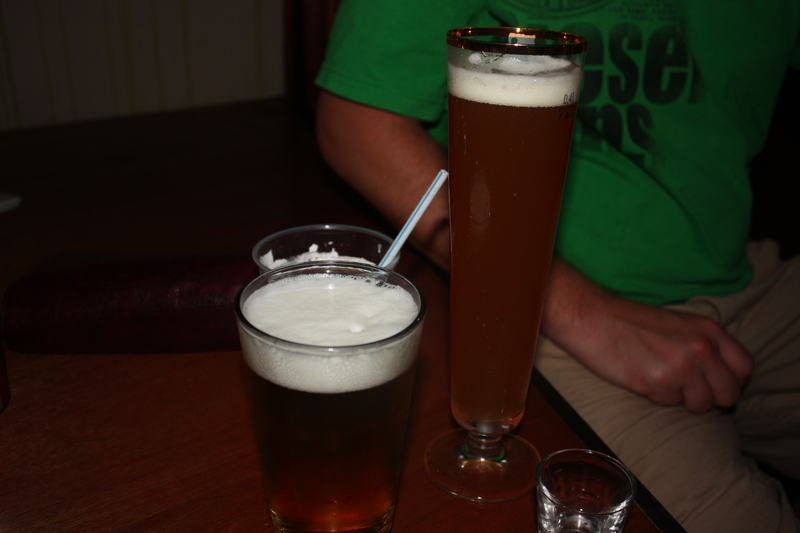 The bartenders highly knowledgeable about the beers they serve and made great suggestions. 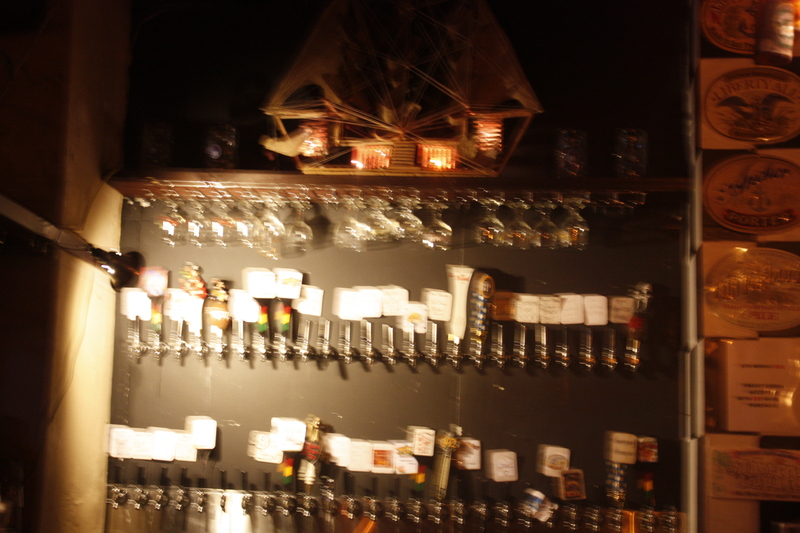 The dim lighting and beer bottle lamps were a nice touch. We enjoyed the breeze from the open air bar where all the windows were open. We loved the bar area and display of the various brands served. The owners have great relationships with the brewers and distributors, which is why they have the best selection in town including Shipyard, Rogue, Cisco, Moylan’s and Brooklyn Brewery. We would love to return and sit near the bottle and gnome wall and enjoy some fried queso, chicken sandwiches, chorizo/hamburger and snacks. 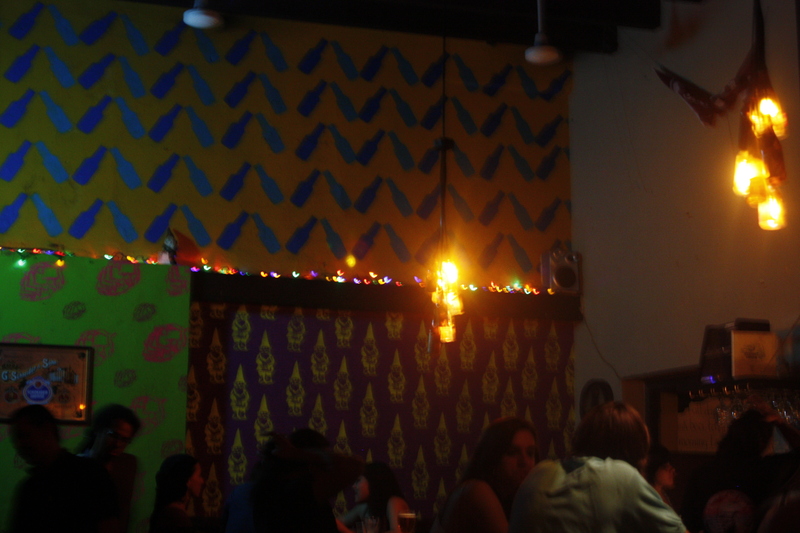 Looking forward to hanging with more locals and visitors next time at Lupelo, one of the kitschy and coolest bars in Old San Juan. going here later tonight! how did the food look to you? pretty good or just alright? seems like the beer is the main star so i was thinking id eat somewhere else and then go…we shall see.. Although we didn’t try the food, it looked solid. 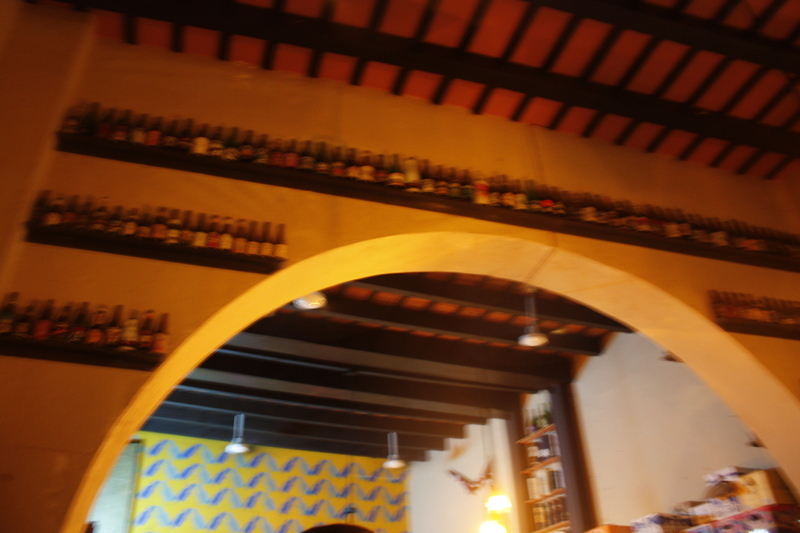 We think you should would eat there and pair the meal with the vast selection of beers.